Intel R ICH9 Family USB Universal Host Controller - 2939 is a USB Universal Serial Bus device. The developer of this driver was Intel. The hardware id of this driver is PCI/VEN_8086&DEV_2939. 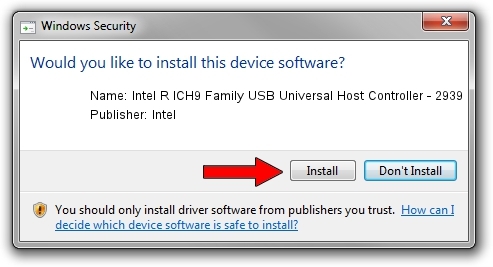 Download the setup file for Intel Intel R ICH9 Family USB Universal Host Controller - 2939 driver from the location below. This download link is for the driver version 8.3.0.1011 dated 2007-02-05. This driver was rated with an average of 4 stars by 60101 users. Take a look at the list of driver updates. 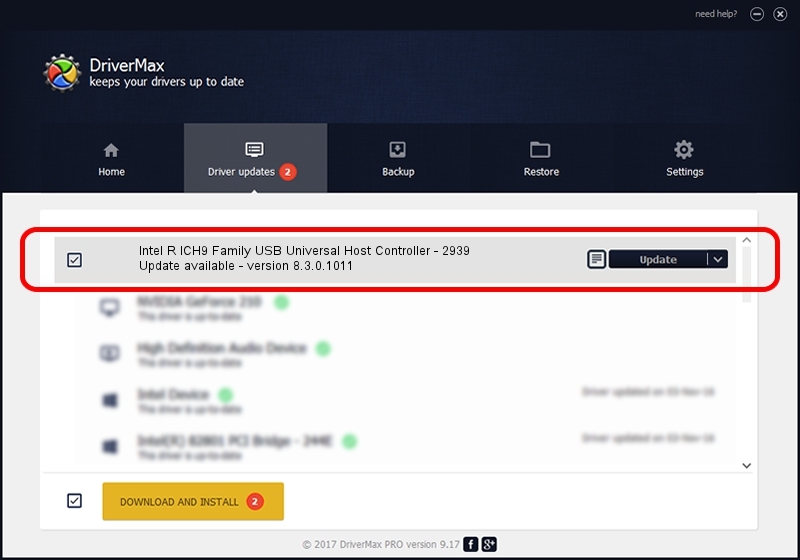 Scroll the list down until you find the Intel Intel R ICH9 Family USB Universal Host Controller - 2939 driver. Click on Update.